From hot springs to glaciers, the southern and southwestern regions of Iceland are full of diverse natural beauty. If you want to see the area’s highlights, follow the Golden Circle, Iceland’s most famous road trip, which features the Thingvellir National Park, the Gullfoss Waterfall, and the thermal area in the Haukadalur Valley. Be sure to take detours to see the country’s capital, Reykjavik, as well as the black beaches along Iceland’s south coast. Yes — that’s Reykjavik’s official title! One of the most popular things to do in the capital is to walk along the marina. Along the way, you’ll see sights like the Sun Voyager sculpture and the abstract concert hall, Harpa. The Sun Voyager sculpture is a great spot to watch the sunset. For more peace and quiet, stroll around Lake Tjornin, or chill on the city’s Nautholsvik Beach. 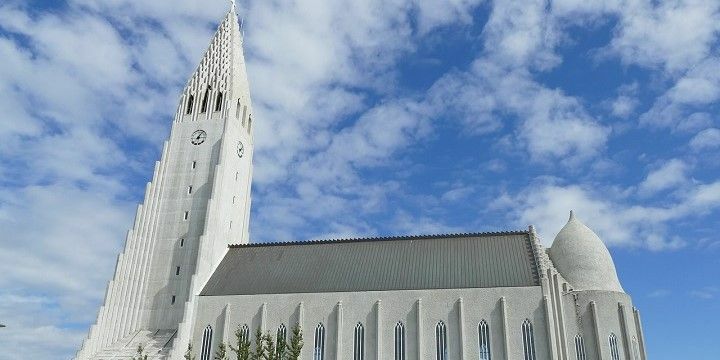 Explore Reykjavik’s culture by visiting Hallgrimskirkja, the capital’s main church, which is home to a 15-meter-tall organ. Hallgrimskirkja is Reykjavik's main church. Alternatively, indulge in some retail therapy at Kolaportid, the city’s biggest flea market, or Laugavegur, Reykjavik’s main shopping street, which also hosts several restaurants, bars, and clubs. 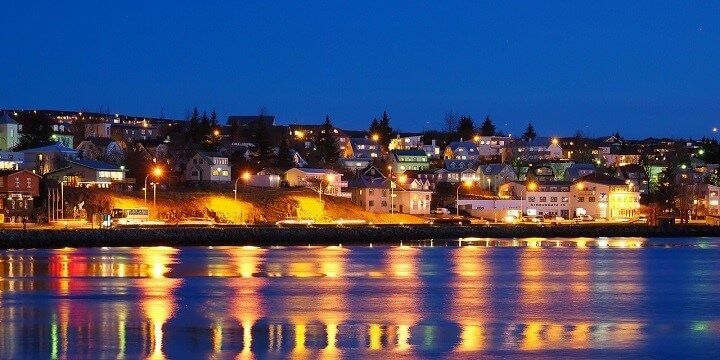 The town of Seltjarnarnes is located close to Reykjavik and is completely surrounded by the ocean! Its unique position makes it perfect for walking, bird watching, and spotting seals on the rocky beaches. Videy Island is located just off the Reykjavik coast. 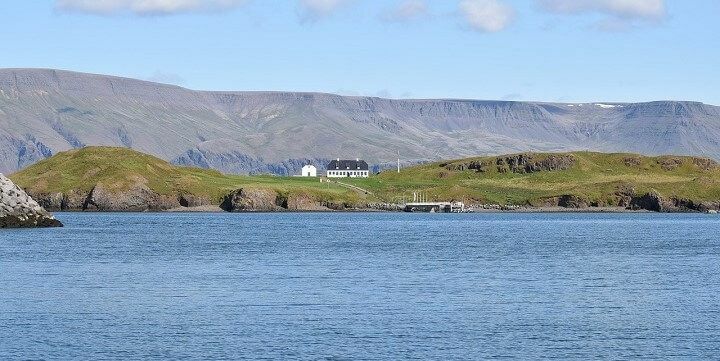 For more natural beauty, head to the small Videy Island, just off the Reykjavik coast. Follow one of the several well-marked walking trails to see over 150 species of plant and 30 types of bird. Hafnarfjorour is located ten kilometers from Reykjavik. If you’d rather stay on the mainland, check out Hafnarfjorour, just ten kilometers from Reykjavik. After enjoying the town’s many bakeries, you can work off the calories in the surrounding mountains, or walk around Hafnarfjorour’s Hellisgerdi Park. 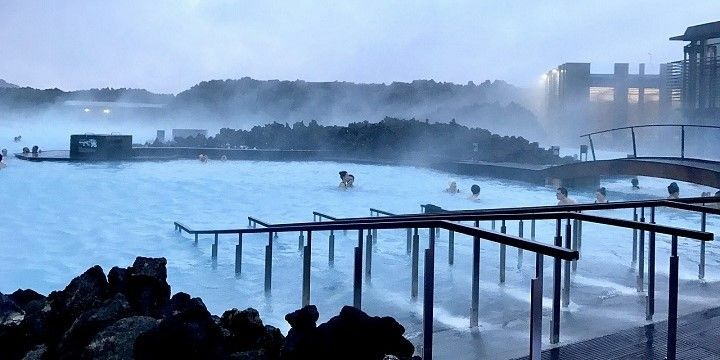 The Blue Lagoon is one of Iceland’s most popular tourist attractions. The year-round spa is great for your skin, as the water is full of minerals, algae, and silica. The water remains at a constant temperature of 37-39°C, making it perfect for warming up and unwinding in the colder months. The Blue Lagoon is great to warm up an unwind. 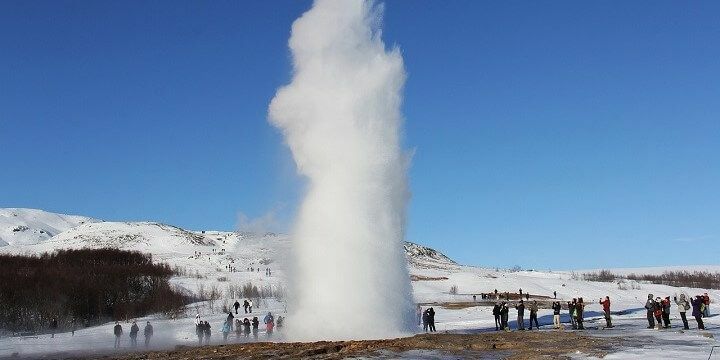 Travel further east to find Geysir, a geothermal area located in the Haukadalur Valley. The area has more than twelve hot water blow holes, the most famous of which spouts water 30 meters into the air every few minutes! Geysir is a geothermal area located in the Haukadalur Valley. Just south of Geysir you’ll find Gullfoss, Iceland’s most popular waterfall and another stop on the Golden Circle. The waterfall has two stages, which are 32 meters tall in total, and are surrounded by 70-meter-high canyons. Landmannalaugar, an area of natural beauty in the Fjallabak Nature Reserve, marks the northern end of Iceland’s most famous hiking route, Laugavegur. 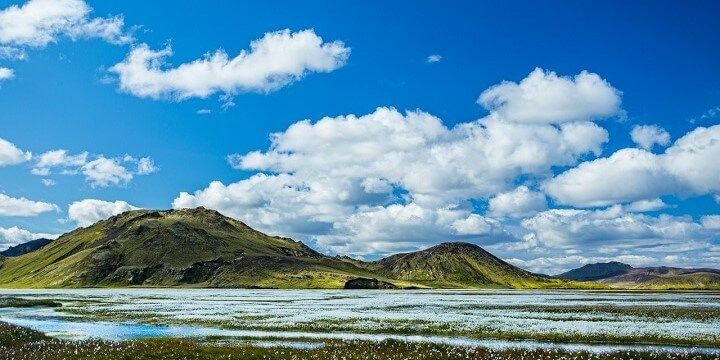 You can also climb mountains like the 855-meter-high Brennisteinsalda, characterized by its colorful face, and the Blahnjukur volcano, from where you’ll get an incredible view of five glaciers. Landmannalaugar marks the northern end of Iceland’s most famous hiking route, Laugavegur. For more mountainous hikes, head to the Skaftafell Nature Reserve, home to Hvannadalshnjukur (2,110m), Iceland’s highest peak. Additional breath-taking routes can be found in the Thingvellir National Park, which is also part of the Golden Circle. This park is home to the mid-Atlantic Ridge, where the North American and Eurasian tectonic plates meet, creating the Thingvellir Rift Valley. The park’s best hiking route will take you from the valley to Thingvellir’s only waterfall, Oxrarfoss. Thingvellir National Park is part of the famous Golden Circle. Several stunning waterfalls are dotted along Iceland’s south coast. 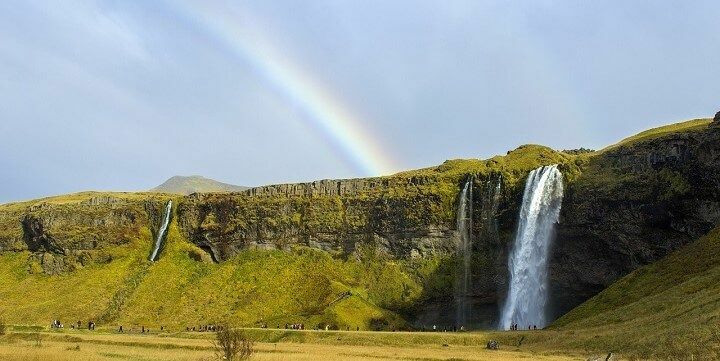 The Seljalandsfoss Waterfall, for example, drops over 60 meters from sea cliffs, while the huge Skogafoss Waterfall is so forceful that it creates double rainbows on sunny days. The Seljalandsfoss Waterfall measures about 60 meters. The coastal area is also home to several black sand beaches, including Diamond Beach, where the dark sand contrasts against the blue glacial water. 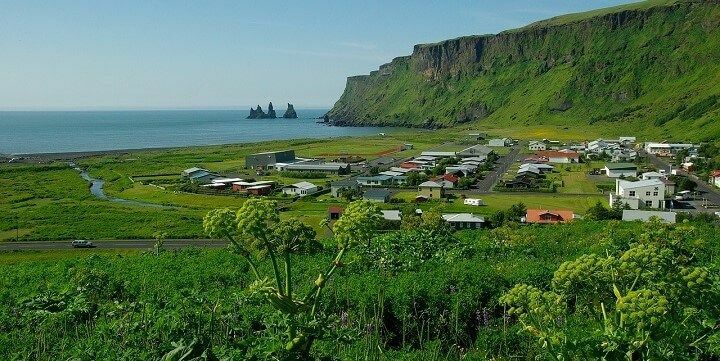 The popular seaside village of Vik also features beautiful black beaches, where you can spot adorable wild puffins. Vik is a popular seaside village. 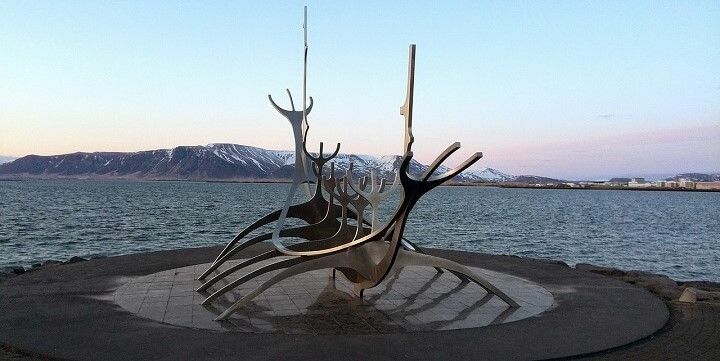 If NextStop24 helped you to choose your next travel destination, we'd be very grateful if you’d search for your accommodation and things to do in Iceland through these links. They're affiliate links, which means that we will receive a small commission for every booking made through them. There are no extra costs for you; you'll simply be helping to keep NextStop24 running. Thanks! I drove the Ring Road once around the island. The selected area of my stay above is incorrect as it was only possible to select southern destinations of Iceland! Beautiful nature, laid-back vibes and great people. Iceland is a magic place. 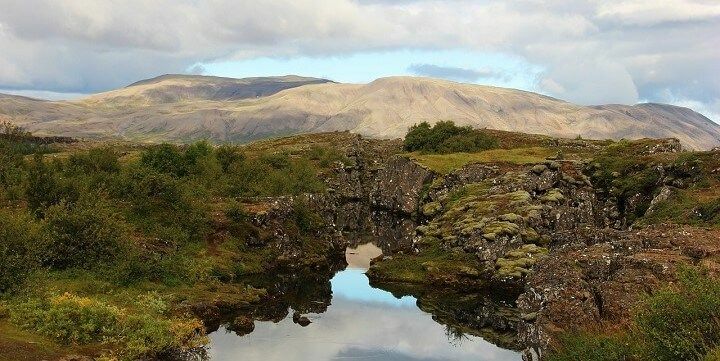 I crossed the Golden Circle, this route took me through some of the most amazing sights in central Iceland whit stunning places, plenty of nature, wild horses and peace. My favorite place has been Diamond Beach full of mini iceberg along the beach and near the glacier. I recommend to all people who love nature to spent a week or two in this beautiful country during winter time or, if the temperature are too low,during June to see the midnight sun. Iceland is a beautiful country in terms of scenery. There are an abundance of outdoor activities, even in the winter months. We weren't fortunate enough to fully see the Northern Lights due to snowy, cloudy nights, but thoroughly enjoyed the trip nonetheless. I went to Iceland for a friend's wedding in the summer and was blown away by how gorgeous the nature was. Definitely recommend hitting up natural hot springs/rivers and checking out the Icelandic ponies! Food/accommodations are pricey but Reykjavik is great for a cozy night out - especially during the midnight sun! Beaches are gorgeous, but be prepared to run to a nearby hot tub after, as the water is quite cold!